Prior to the Roman invasion of 43AD, Britain was divided into a series of tribes, each occupying their own territory and each having their own currency. Although these tribes were mainly of Anglo-Celtic Origin, many - such as the Parisi, Arebates, Cantium - originated from the tribes of Europe and settled in Britain. So the connection between Britain and Europe was strong even before the Romans arrived. Trade between British Celts and their continental counterparts was healthy for the southern tribes, but not so for the more northerly inhabitants. The road system of Britain consisted of nothing more than well worn tracks which meant moving goods, especially perishable items such as fruit and vegetables was virtually impossible due to the time it took to transport them from the south-east coast to the northern territories. Indeed the tribes were isolated in that they did not allow any members of other tribes to encroach on their land, so it was only the traders who had unrestricted access through the tribal regions. There was also the problem of exchanging currencies between the tribes. As each tribe had their own coinage and an isolationist attitude, no tribe members could go into anothers territory and but goods with coins from their own region. Even in times of harvest failures each tribe had to suffer the problems associated with times of near famine and drought. To overcome this to a certain extent, the tribes did trade with each other on a goods for goods basis rather than goods for cash. This did work in Britain, but was not well received with the European tribes who preferred to trade goods for cash. When the Romans completely took control of Europe, the situation became worse as the Gallic tribes were now using Roman currency, which enabled them to trade freely with the Romans and each other, but not with the British tribes, who still insisted on goods for goods. So it is apparent then the economy of Britain relied on individual tribes mainly trading between their own members and trading with travelling merchants on a goods for goods basis. The coming of the Romans saw a radical change to the economy. 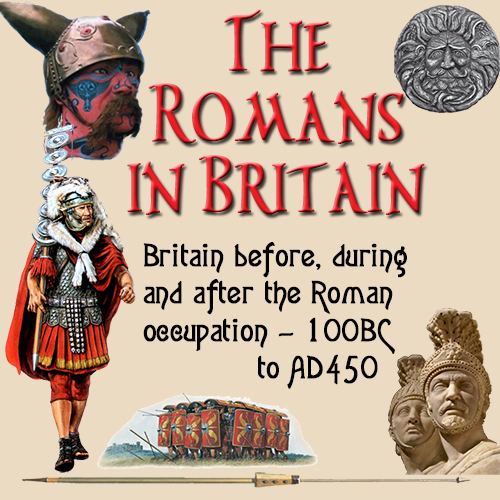 As the Roman army moved further and further outwards from the south-east of Britain, they introduced the standard Roman currency into the tribal areas they conquered. As Britain was steadily united under the new rulers, the tribes adopted the new coinage and found trade much easier not only with each other, but also with the Romans and their neighbours in Europe. The ancient goods for goods type of trading was gradually replaced buy a more modern good for cash system. This pleased the travelling merchants as they could trade with a greater number of customers without having to barter goods. Instead of having to travel the country loaded with a variety of items, clothing, pottery, ironwork etc., they could buy and sell goods with the tribes and also the new Roman masters. Britain slowly became unified under one banner that opened up all sorts of new avenues. As the Romans developed the road system, the time taken to transport goods around the country became shorter and so perishable goods could be taken greater distances in a fraction of the time. Then there was the matter of taxation. The Romans brought their own method of taxation which meant each tribe had to pay a levy to a central government based on the yield of crops and consumable items they produced. 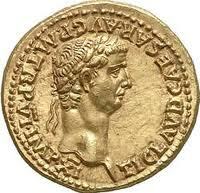 The tax system the Romans introduced was the forerunner of the tax system we know today.